The Lisbon Cathedral, officially referred to as Santa Maria Maior de Lisboa (Patriarchal Cathedral of Saint Mary Major), is the oldest place of worship in Lisbon. Given its age and the multiple restoration works carried out in time, the cathedral is a composite expression of several architectural styles: Romanesque, Gothic, Baroque, and Neoclassical, combined in a robust structure haloed by an all-engrossing medieval vibe. The fortress-like facade of the Lisbon Cathedral is one of the original elements of the church, dating back to the mid 12th century (between 1147 and the early 13th century), when the construction was commissioned by the first king of Portugal, Afonso Henriques, on the site of a former mosque. 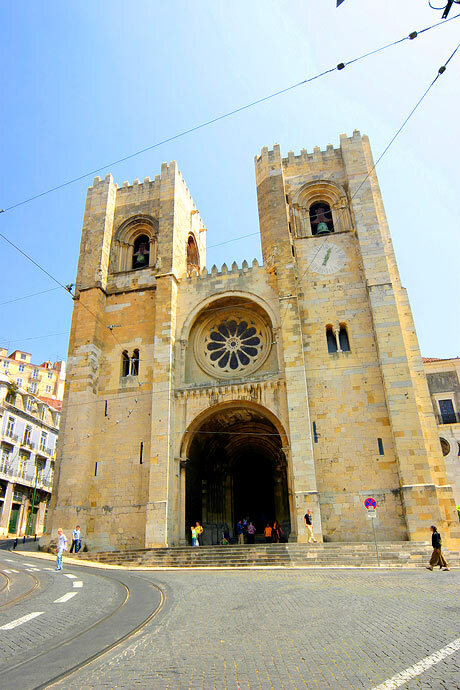 Since its inauguration until now, the cathedral has been the seat of the bishopric of Lisbon, the first bishop being Gilbert of Hastings, an English crusader. Some of the interior highlights refer to three Gothic tombs located in the ambulatory of the church (which date back to the 14th century), to the Baroque sacristy (17th century) and to the Neoclassical chapel (the main chapel) which features notable Neoclassical touches, where the tomb of King Afonso is located.